Once upon a time, Robert Rauschenberg rented thirty turtles from Trefflich’s animal store. The turtles were the stars of his performance piece Spring Training. 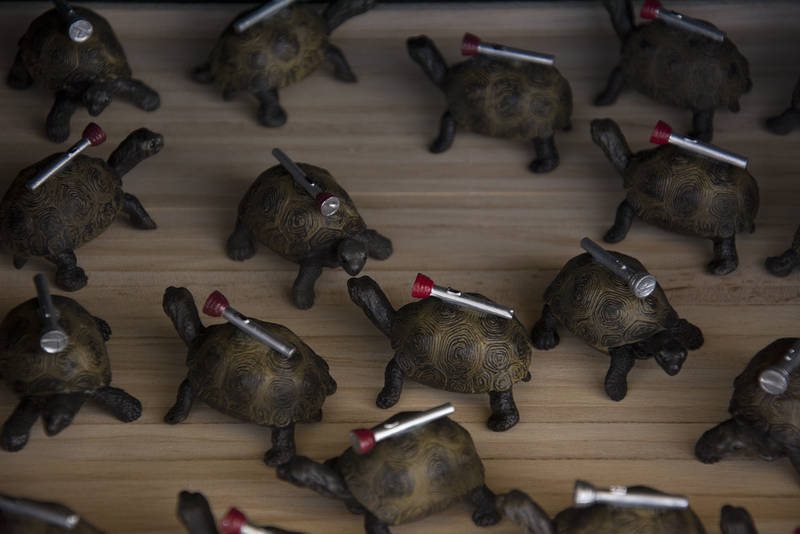 He let them loose on a darkened stage with flashlights taped to their shells.